I hadn’t been to Anthony’s all spring or summer yet. I’m not too sure why. They have a deck with plenty of seating and a good view. They offer pretty good food at fair prices. Anthony’s just hasn’t been on my “top of mind” of places to eat and relax. With that being said, I had the opportunity to attend a friend’s birthday party and see what I had been missing. I kept my meal pretty simple and light so I ordered their Beef Sliders. They were definitely worth the happy hour price of $5 and I would order them again. Fortunately for me, I have some friends who like to share so I got to sample their dishes. One that really sticks out (foodie review coming soon) is their sturgeon dish. But, I digress. 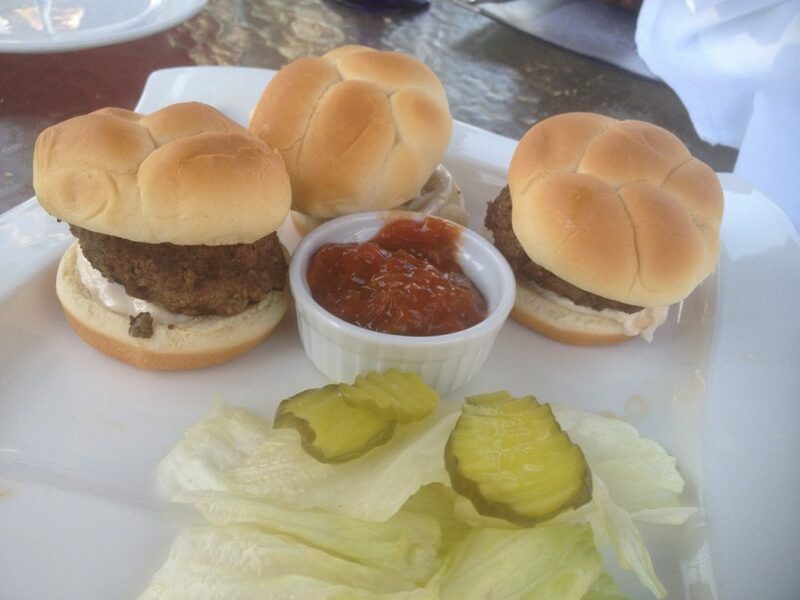 The sliders at Anthony’s are worth ordering. Also, word on the street is if you order the Onion Sliders and combine with the Beef Sliders, it is amazingly delicious. I’ll have to try that next time.